All investments carry with them some degree of risk. In the financial world, individuals, professional money managers, financial institutions, and many others encounter and must deal with risk. Risk management is a process of determining what risks exist in an investment and then handling those risks in the best-suited way. This is important because it can reduce or augment risk depending on the goals of investors and portfolio managers. The main purpose of Investment Risk Management is to provide an overview of developments in risk management and a synthesis of research involving these developments. The book examines ways to alter exposures through measuring and managing those exposures and provides an understanding of the latest strategies and trends within risk management. The scope of the coverage is broad and encompasses the most important aspects of investment risk management. Its 30 chapters are organized into six sections: (1) foundations of risk management, (2) types of risk, (3) quantitative assessment of risk, (4) risk and risk classes, (5) hedging risk and (6) going forward. The book should be of particular interest to sophisticated practitioners, investors, academics, and graduate finance students. 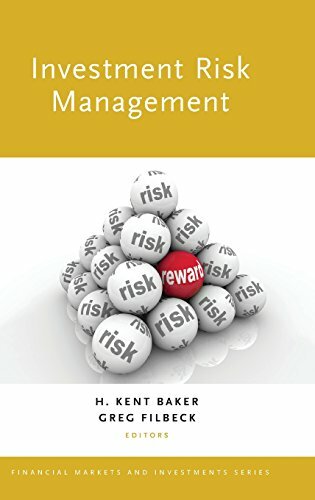 Investment Risk Management provides a fresh look at this intriguing but complex subject.